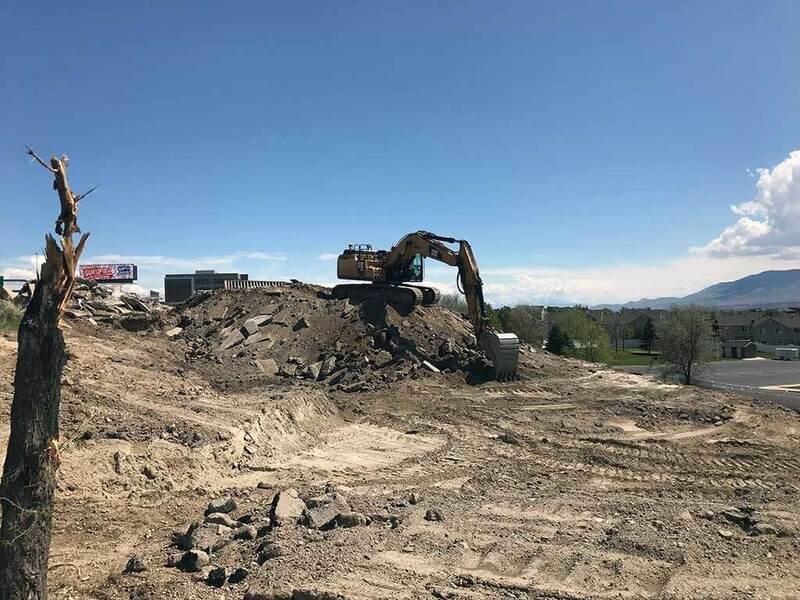 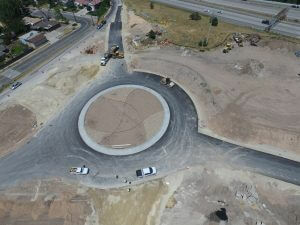 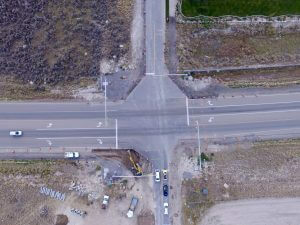 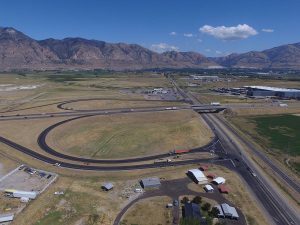 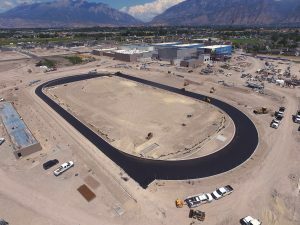 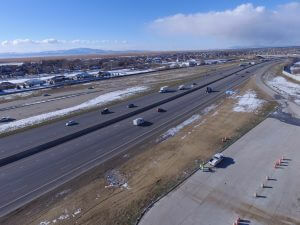 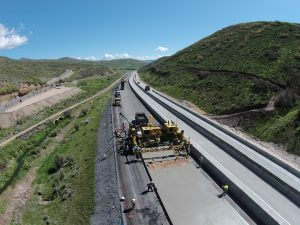 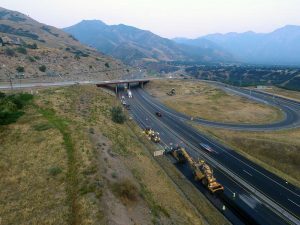 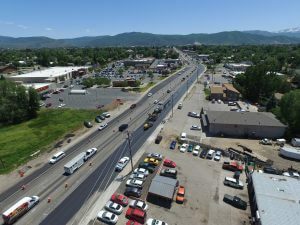 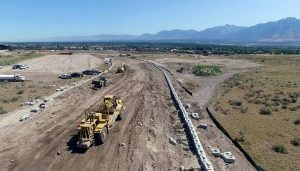 To make way for I-15 “Tech Corridor” widening, UDOT was required to re-route a section of Ashton Blvd., which serves as a frontage road to I-15 in Lehi, UT. 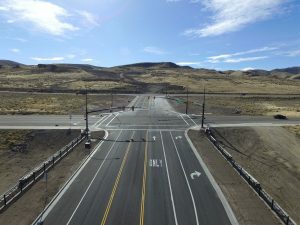 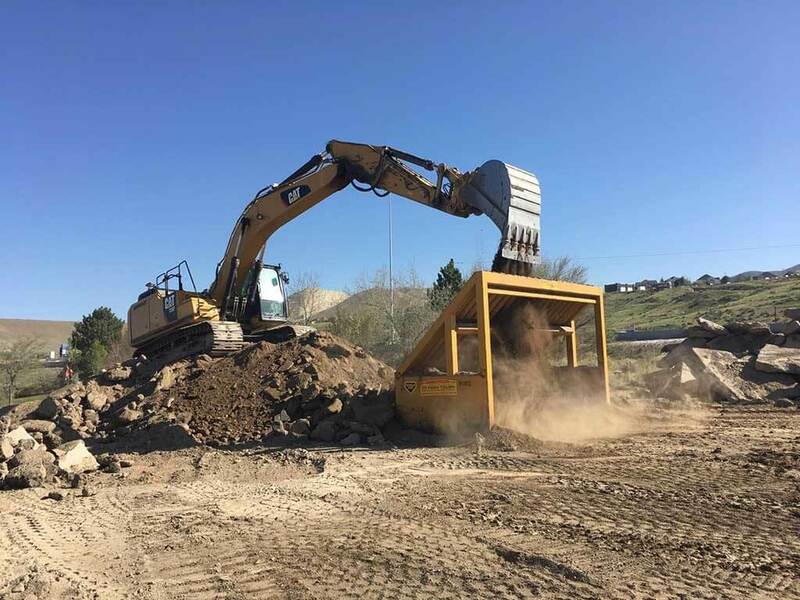 To create the new road, 20,000 cubic yards of cut/fill were used to build up the road base and 4 segmented block walls were built to support the new extension of the frontage road. 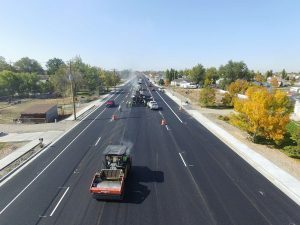 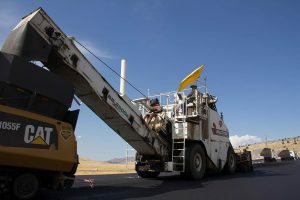 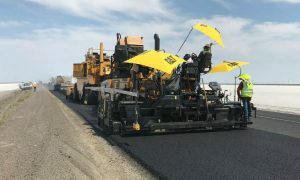 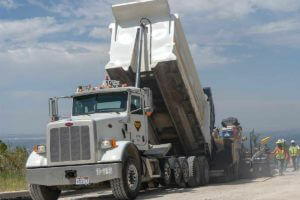 The new road was completed with paving 6,000 tons of HMA. One of the major obstacles with this project was the removal of buried concrete. 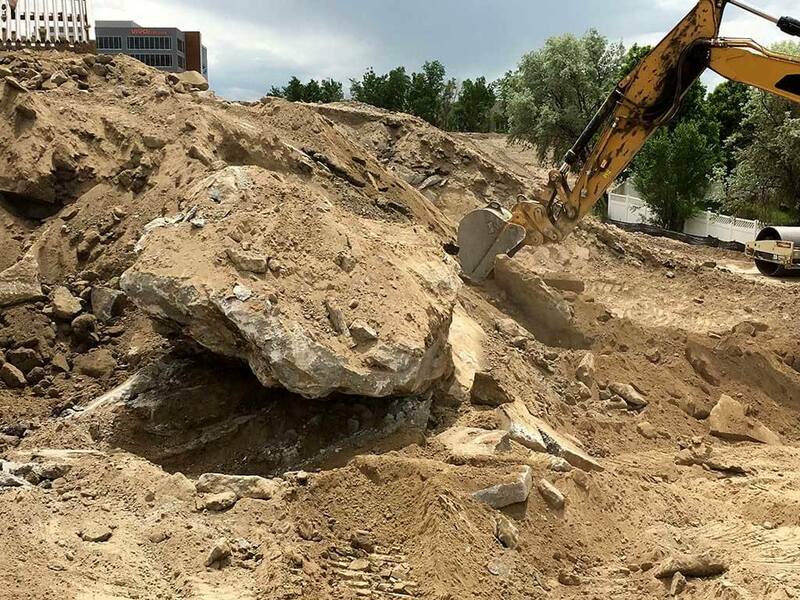 It was a dumpsite in the past and 2 giant concrete chunks were discovered that had to be removed. 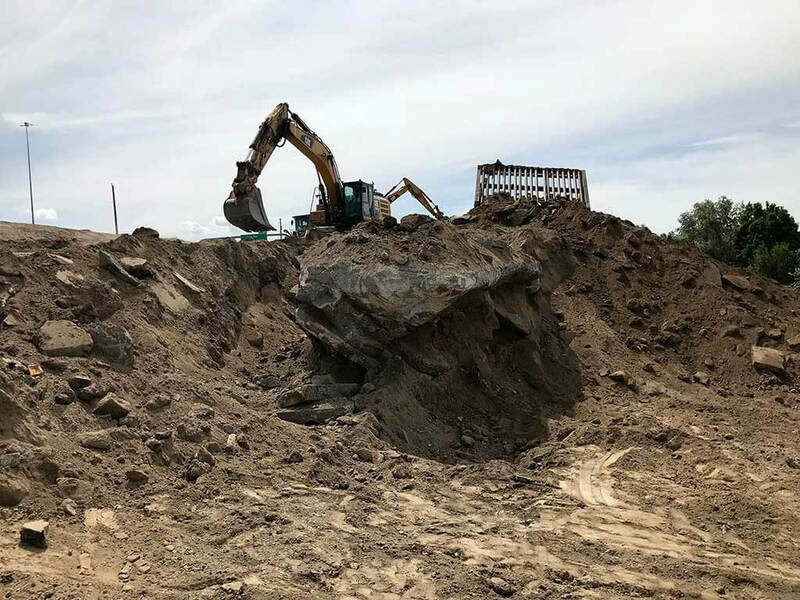 One was twice the size of an excavator. 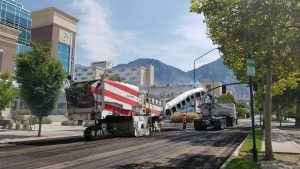 The concrete was broken down and hauled off to be recycled. 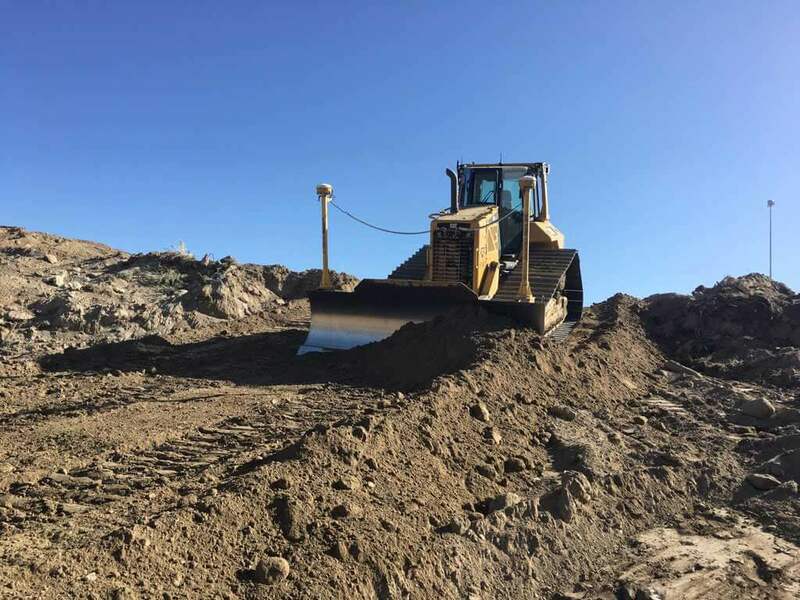 Excavated material was screened and used for the foundation of the new road.